This is a supplement for men’s libido enhancement, useful to increase sexual drive and performance. 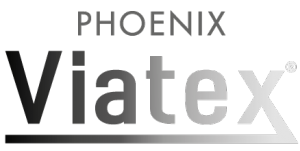 Phoenix Viatex® contains a synergistic formula consisting of Saffron, which has a relaxing impact and increases libido, particularly effective in erectile dysfunction and on men who take antidepressants; Maca that significantly improves libido; Pine bark extract and L-arginine that enhance levels of nitric oxide in the sperm and of testosterone in the blood; plus Tomato extract, an ingredient that promotes peripheral blood flow. 2 tablets, 30 minutes to one hour before intended function. Not recommended for children under 18 years old. In case of simultaneous intake of concomitant oral anti-coagulant therapy, consult your physician or pharmacist. Keep out of children’s reach & sight.